Time flies! It seems like only yesterday when I decided to give up my academic career and step out in faith and establish Lamb & Lion Ministries. 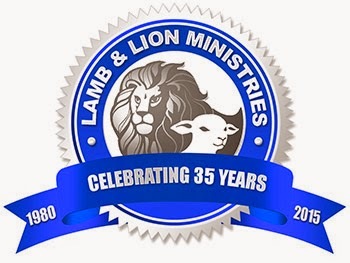 When I look back over the past 35 years, it is hard to believe how much the Lord has blessed this ministry. I can vividly remember that first year when the ministry was located in my family's home. We had a duplex in Plano, a suburb of Dallas. It had three bedrooms. Ann and I were in one, our two daughters were in the second, and the ministry was in the third. The day I ran out of space and started down the hallway to the master bedroom with two boxes, my wife informed me that it was time for me to find an office outside our home! I rented an office in a large plantation-style house in downtown Plano and stayed there a year. Then we purchased a house nearby and converted it into our headquarters. We stayed there for two years before we started building a new headquarters on five acres of land that was given to us by one of our trustees. That acreage was located about 21 miles northeast of Plano, near the town of Princeton. The town was so small that we had to get a post office box in McKinney, 7 miles to the west. 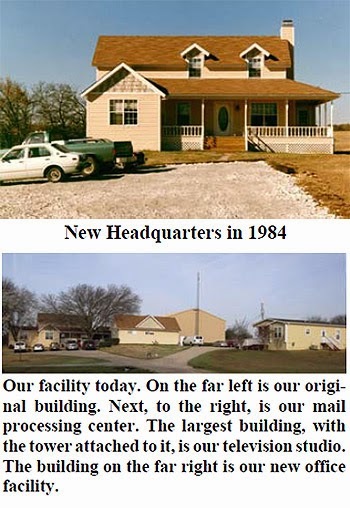 Over the years since that time, we have twice added new mail processing rooms. Additionally, we have built a television studio, and we have added two manufactured buildings, one for a caretaker's home and the other for office space. But much more important than the expansion of our facilities has been the growth of our outreach. We have published a total of 15 books, not counting revised editions or foreign editions. We have produced over a hundred audio and video programs. Between June of 1980 and September of 2002 we broadcast a total of 5,810 radio programs. And since 2002, we have aired 655 TV programs. We have gone from one radio station in 1980 to 8 national television networks in 2015. We have held conferences all over the world, we have led over 40 pilgrimages to Israel, and we have created an interactive website that reaches millions. Additionally, we published a monthly newsletter from April 1980 to May 1998 when we converted it into this magazine, which we have been publishing bimonthly since that time. As we look to the future, our goal remains the same as it was from the first day of the ministry: to reach as many people as we can, as quickly as we can, with the message of the Lord's soon return. Congratulations and God blessing upon Lamb & Lion. May you continue to successfully proclaim the soon return of our Lord Jesus Christ right up the Rapture and beyond via the website left behind resources.